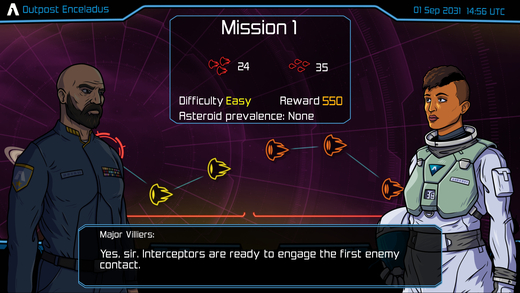 Home #ADDICTIVE Interview with the 10tons Team, the creators of Xenoraid. Interview with the 10tons Team, the creators of Xenoraid. Do you just love top down space shooters? Have you downloaded literally every popular space shooter featured on the Apple App Store and Google Play? If so, chances are you’ve heard of a game called Xenoraid. With some of the best virtual controls, visual effects, and gameplay systems we’ve ever seen in a space shooter, all tied together via a single intriguing storyline, Xenoraid is one of the best top-down space shooters you will ever find for mobile. 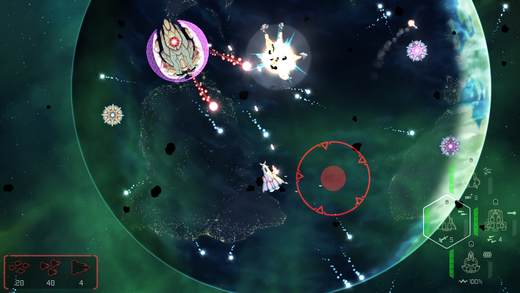 If you’d like to check out our review of Xenoraid, you can do that here. 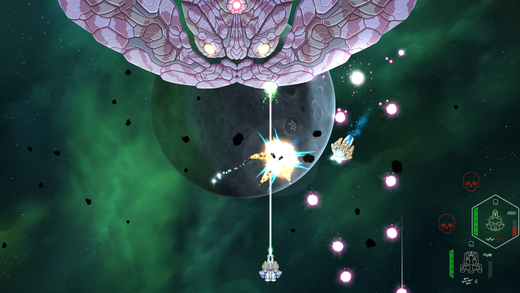 Today we’d like to share our interview with the 10tons Team, the creators of Xenoraid. Before we start, we’d like to thank the 10tons Team for participating in our interview, and for spending some of their valuable time answering our questions. Thanks guys! Ok first up, why did you decide to make Xenoraid? We’ve been multiplatform developers since forever, and in 2014 we gained access to consoles and to Steam via Greenlight. For the past several years we’d been developing games mainly for various casual game markets, and while the ports of those games were performing great on consoles and ok on Steam, we felt like we now had the opportunity to once again develop games more like Crimsonland, our first game made back in 2003. 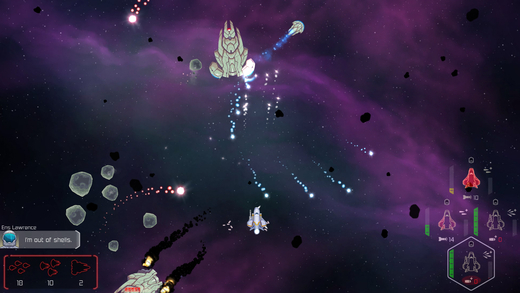 So with Steam and consoles focus, we kicked off production for Xenoraid and Neon Chrome. Neon Chrome came out of our desire to make a cyberpunk game and some sort of spiritual descendant of Crimsonland. Xenoraid, on the other hand, was intended as a smaller project and was based entirely on my concept. I felt like classic shoot’em ups were great back in the day, and I was disappointed the genre wasn’t doing great. Most of the good titles within the broader genre have been of the bullet hell flavor, and I just don’t enjoy those. The “euroshmup” side of somewhat more casual, more general action game type shoot’em ups seemed to live only as basically hobbyist games. Regarding innovation, there seemed to be a strong split between very standard games with basically no innovation and games with crazy innovations that seemed more like experimental titles. We felt there was room for the kind of quality game we knew we could make, which would cater to action game fans and feature enough innovation to keep it interesting despite the retro setup. The graphics in Xenoraid are amazing! 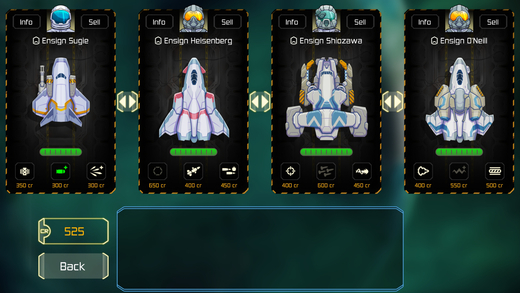 How long did it take you to create all the rich designs featured in Xenoraid? Thanks! We quite like Xenoraid’s looks as well. As the game was made with a core team of three (me as the designer/project lead + graphic artist + programmer), and as Neon Chrome was to be our first game with 3D graphics, we knew we’d be making the game in 2D. We set out to create a game in a relatively near future setting, so we drew a lot of inspiration for the player’s fighters from real experimental crafts like Boeing X-37. The enemy designs, characters, UIs and overall art direction are straight from our great graphic artist Ville’s head, and I’m really happy with how those turned out. Making a game with such a small team puts pretty hefty requirements on each member, so I was very fortunate to have such experienced guys work on the game. The virtual joystick in Xenoraid is just so smooth! Is there some secret to creating awesome virtual controls? I don’t think we put much secret sauce into the virtual controls. The way it works is we have our cross-platform game engine and framework, with all sorts of technical components that we reuse in a lot of our games. Graphics stuff, sound stuff and so on. The virtual controllers in Xenoraid are our basic virtual controllers, but I do think they work especially well in Xenoraid due to the game’s controls feel, which is very physical. There’s a lot of inertia in the controls, and that pretty much guarantees smooth sailing. What programming language and or software did you use when making Xenoraid? We use the same cross-platform engine and framework for all our games. The tech is completely made in-house. We’ve been working on the tech for more than ten years, and it’s starting to be pretty good 🙂 It runs on everything from PlayStation 4 to iOS to Xbox One to Steam to Android and pretty much anything that can run C++. We make the tech a little bit better with every game we develop, one prime example being the 3D graphics upgrade we made for Neon Chrome. Typically we can port a game from one platform to another within hours or a couple of days, but all the fine tuning like achievements systems and leaderboards take a bit longer. Ok, here is a difficult question. What was the hardest problem you needed to overcome when developing Xenoraid? Xenoraid, as the first game I personally designed from scratch, was a very challenging project. Originally we planned to spend about a year on the game, but it ended up taking two. Originally the metagame was supposed to be very different, much more strategic and fully featured. We spent about six months working on that, but just couldn’t get it working well enough. So we ended up scrapping it and put together the metagame that is currently in the game. Which is fine and it happens, it’s just always a bit demoralizing. We also weren’t able to clear our heads on the core gameplay’s side of things from everything that was in there to support the scrapped metagame very well, so we weren’t able to finish the game quite as quickly as we thought we’d be able to after axing the grander metagame. Last question. Where do you get your inspiration and/or ideas from? Inspiration and ideas come from everywhere. From what we played when we were kids, what we’re playing now, what others are doing, what’s on TV or movies… The other side of ideas and inspiration are the technical and financial limitations, which prevent us from doing everything that seems cool. But that’s a good thing, as like pretty much all game developers, we embrace limitations. It’d be next to impossible to choose what to do if you could choose anything. Although right now, with the indie apocalypse possibly being at its height or certainly in full enough swing, the business limitations are starting to look a little more mighty than I’d hope. An ok or even a good game won’t cut it any longer, you also need to have made it really cheap or get it to go somewhat viral to do well. But I suppose it’s just another phase in the ever evolving indie game scene, we’ll just need to do the evolving thing too. A few words to Xenoraid fans on Edamame Reviews. Thanks for playing Xenoraid! Please rate the game on App Store, it really helps us in finding new fans. Also, check out Neon Chrome and/or Crimsonland if you feel like something more retro. We’re working on a couple of new games, the closest to release being probably Tesla vs Lovecraft. Great site! We, like all indie developers, are always up for any and all extra visibility for our games. It’s great to be in contact with people really into games. Especially interviews are something that not that many sites do these days. Thanks for the awesome interview guys!